This is my Christmas gift to you! This advent calendar will give you some guitar stuff to play each day for 5-10min and in the end you’ll be able to play a mystery Xmas song! 😀 Or if you’re the type to eat all the chocolates on day 1, you can cheat and look straight into day 24 (when I upload it 😛 ). Learn some chords and strumming patterns and get all the support you need from our Facebook Group or via email 🙂 Click on the calendar below to get it! 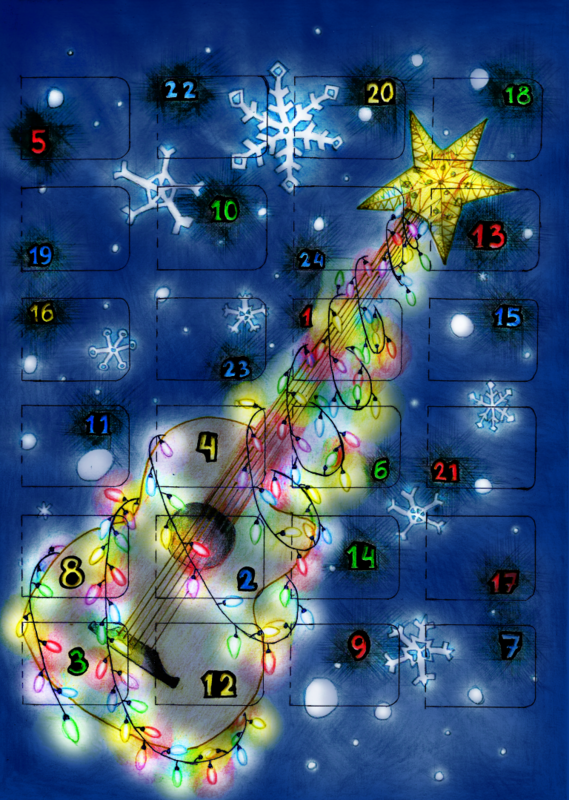 This Online Advent Calendar will give you daily videos, in which you will learn chords suitable for beginners and intermediate, classical, acoustic and electric guitar. If you have any questions about it, feel free to email me. I hope you enjoy my Christmas gift and thank you for trusting me to lead you through this Christmas experience! I wish you wonderful holidays!